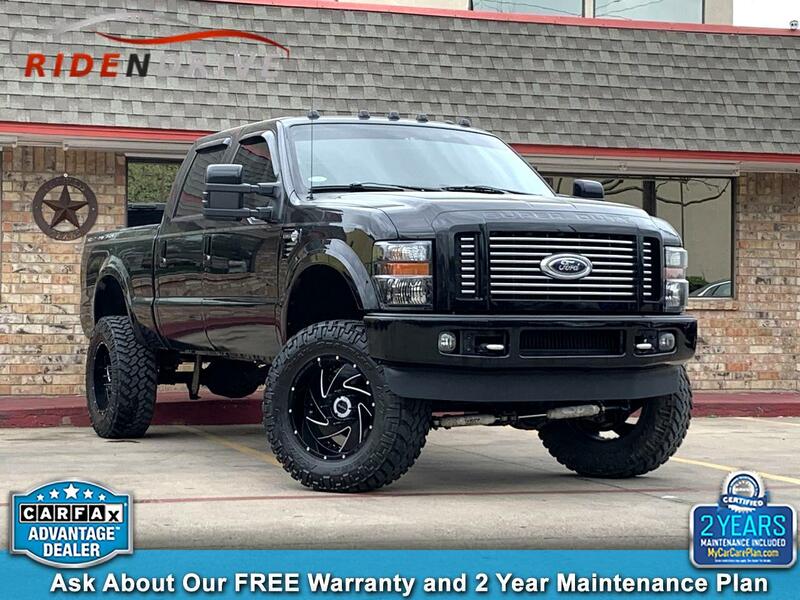 2009 FORD F-350 SRW HARLEY-DAVIDSON CREW CAB 4WD SB. 6.4 LITER POWERSTROKE TURBO DIESEL. STUDDED MOTOR. AUTOMATIC TRANSMISSION. CLEAN CARFAX. 1 OWNER. NO ACCIDENTS. 8 SERVICE RECORDS. FULLY LOADED WITH ALL THE OPTIONS!!! LIFTED & GIFTED. 20 HD LUXX WHEELS WRAPPED IN 37 INCH NITTO TERRA GRAPPLER TIRES. NAVI. SUNROOF. HEATED & COOLED SEATS. BACK UP CAMERA WITH PARKING SENSORS. BLUETOOTH CONNECTIVITY. POWER ADJUSTABLE PEDALS. STEERING WHEEL MOUNTED CONTROLS. TOW PKG. SPRAY IN BED LINER. ***ASK ABOUT OUR FREE SHIPPING***. FREE 3 MONTH SUBSCRIPTION OF SIRIUS XM RADIO. ASK ABOUT OUR FREE WARRANTY & 2 YEAR MAINTENANCE PLAN INCLUDED!! VALUED AT $1500. ASK A SALES ASSOCIATE FOR DETAILS. Message: Thought you might be interested in this 2009 Ford Super Duty F-350 SRW.